The cider has a deep golden color with a light effervescence. Bitterness and astringency are a result of the use of the Kingston Black apples and it finishes with a slightly fermented taste. Farnum does not produce single variety apples rather blending a large number of apples. 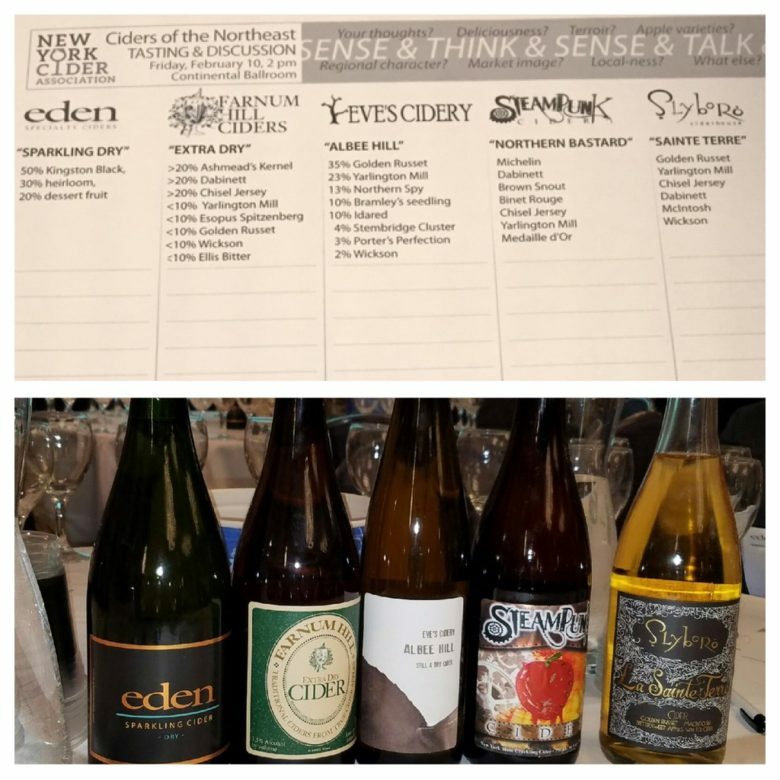 The apples are about 50% bittersweet to provide a complexity to the cider – Think Old English without the funk. The cider aims for a bit of sweetness with a long fruity finish. The lack of residual sugar results in a dry cider, but it is very well rounded and smooth due to lower acidity. 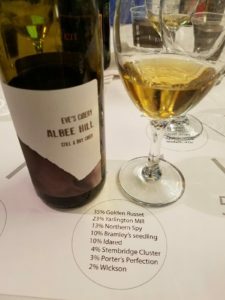 Albee Hill is a complex blend of 2015 fruit. Golden Russet, the primary apple in the cider, is often used in several ciders in this region. Some of the bittersweet fruit was grown on one of the cidery’s two orchards and the remainder was purchased. The deep golden cider is still, which is common for ciders grown in the Finger Lakes region. The flavors are slightly warm, with the Golden Russet coming through. 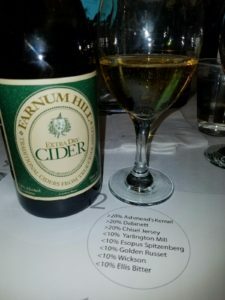 The cider has low tannins and acidity, even though there is a slight bite to the finish. Albee Hill has a little more body with roundness from the residual sugar. Leonard Oakes Estate Winery, located in the Niagara region where Lake Ontario used to sit, produced this trial cider with bittersweet apples, a low pH, and a higher amount of residual sugar. The high carbonation helps draw out some of the flavors in the cider and while the sugar level is higher than others it is not sweet. The cider is fruit forward in both the aroma and the taste. The finish is juicy with a few tannins and the acidity lingers a bit on the tongue and the chest. Opened in 2007, a small farm with ~60 acres of apples, began with single varieties and then worked on blending the apples to produce dynamic ciders. 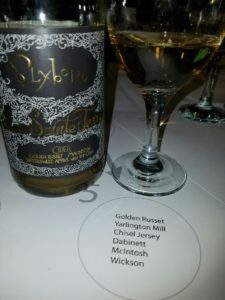 The cider is very fruit forward with 20% ice cider – which is made from apples pressed in the cold of January – added to the blend. 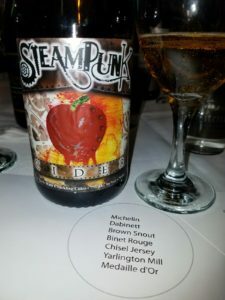 The addition of ice cider amps up the sweetness, but still results in a medium dry cider. 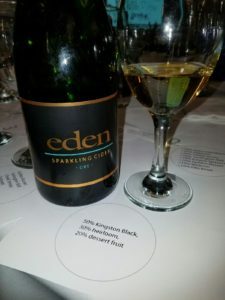 The aromatics include a bit of floral and apple notes and there is a slight effervescence of the cider providing enhancements to the juicy apple flavors on the finish.